Mobile Gaming is taking a big place in Nepal. 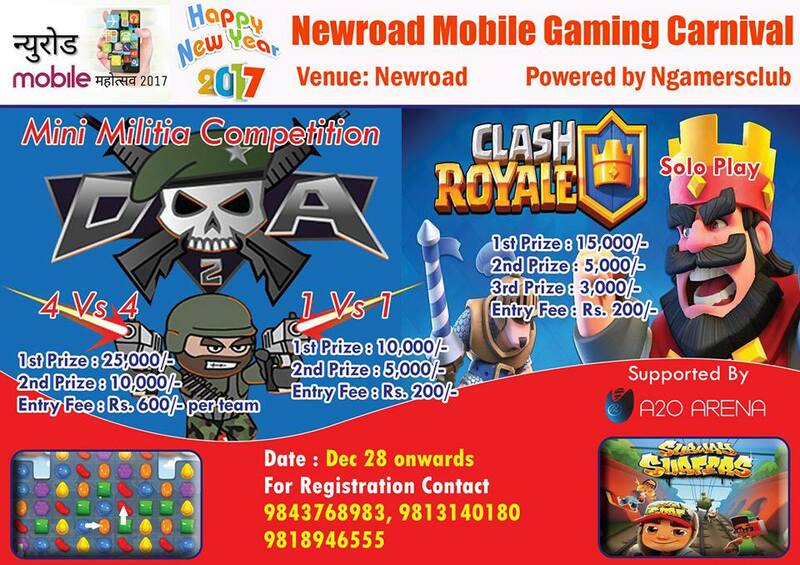 Ever since ngamersclub started hosting Mobile games tournament, there are many peoples who are showing interest to play competitively. This time again ngamersclub is back with Mini Militia and Clash Royale Tournament. Tournament mode of Mini Militia is going to be a 4 vs 4 team game whereas Clash Royale is going to be Solo play. The prizes are also great with very low entry cost. The participants need to bring their own mobile device with the games that they are participating for.